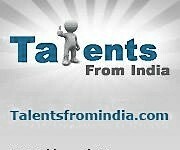 Experts from India being an ISO 9001-2008 company is a proud Joomla Sponsor. ExpertsfromIndia strive to ensure that we deliver the highest quality of Joomla developers for hire and Joomla development services. Our developers have decades of experience combined in Joomla website development and joomla component development. Every one of our Joomla developers is skilled and proficient with various versions of Joomla CMS, Joomla Web Design and Joomla extensions development such as Joomla, JomSocial, Allvideos. ExpertsFromIndia is a pioneering service provider of ecommerce web development platforms. Recently we have acquired its recent invention- VirtueMart which is a highly advanced open source ecommerce web development solution. However VirtueMart is not an independent ecommerce solution still it can be used with other plug-in as an open source CMS. VirtueMart is an extensive framework which is base on specific add-ons like templates, modules and components that add to the value of ecommerce based online businesses. Expertsfromindia Having strong expertise in the field of Software Development. We are establish in 2005 and now having 200+ satisfy client in 128 Countries. We have Largest web development team which provide quality development services in most competitive price. We are ISO certified and member of STPI.